In addition to the exciting updates to Google Classroom that were released yesterday, Google also released a great update to Google Forms. 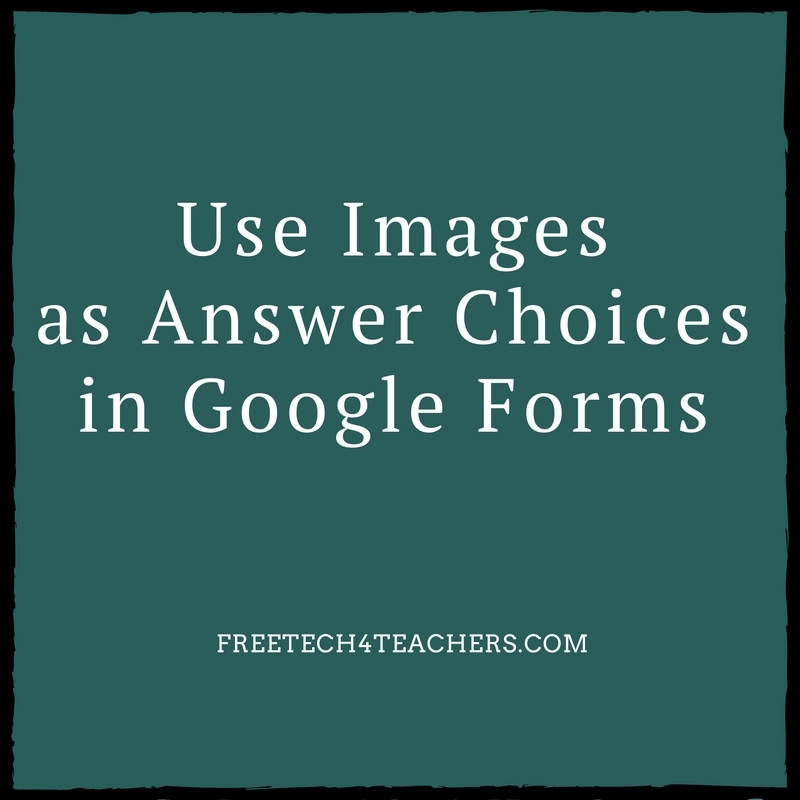 You can now use images as answer choices to questions created in Google Forms. You can also use images as question prompts in Google Forms. 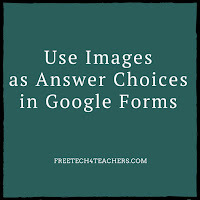 In the video embedded below I demonstrate how to use images as answer choices in Google Forms. Check out my other Google Forms tutorial videos in the playlist embedded below.